Your customers interact with your contact center daily—calling, emailing, and chatting. When analyzed properly, each of these sources can uncover ways to improve the customer experience with your brand’s products and services. 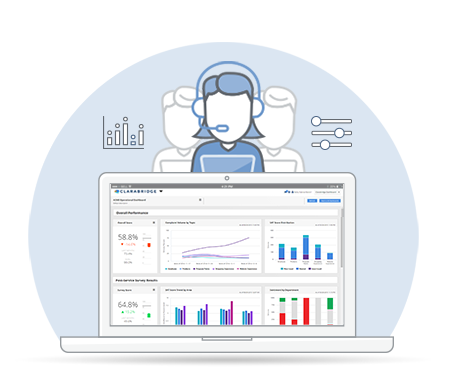 Tap into this rich source of customer intelligence with Clarabridge CX Contact Center, a completely hosted solution. Clarabridge helps you transcribe audio recordings into text and then immediately into structured, reportable data. Clarabridge’s Voice Transcription Service uses a patented chip-based algorithm to transcribe voice of the customer data 10 times faster than software-based transcription engines, and with higher accuracy. Break your contact center out of its silo! Combine call data with agent notes, chat logs, surveys, social media posts, and CRM data. 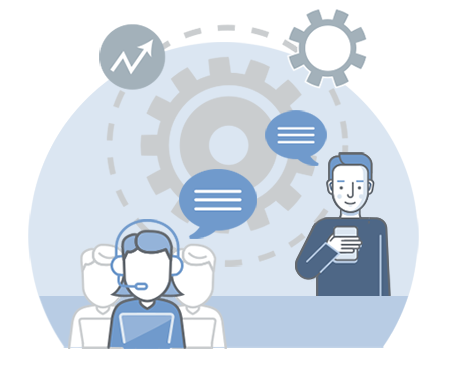 CX Contact Center uses industry-optimized Natural Language Processing (NLP) and sentiment analysis to tell you what customers and agents are discussing and how they feel. Identify opportunities to improve self-service or contact metrics like First Contact Resolution. Evaluate how and why sentiment and emotion change and fix the root cause of customer satisfaction (CSAT, NPS) issues. I Want a Live Demo! 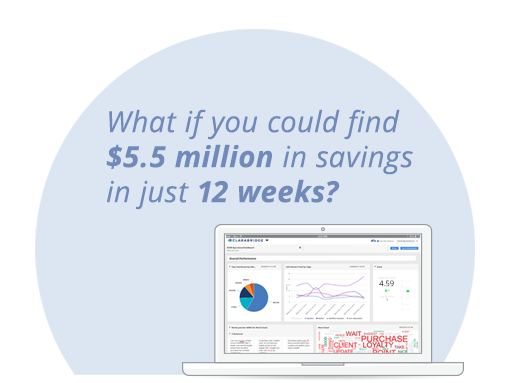 In just 30 minutes, we'll turn a sample of your call data into an actionable business insight.